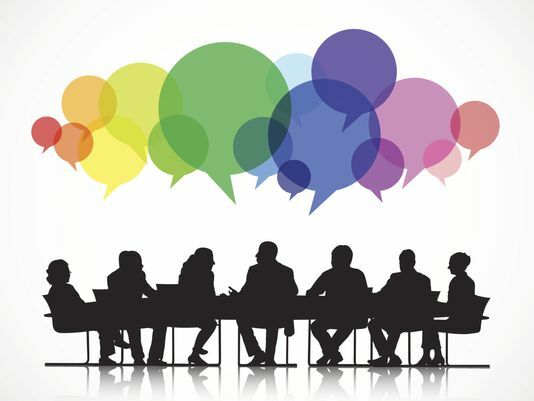 Get your thinking gear into action as we have Committee meetings this Tuesday evening. Rotarians making a difference. Next Tuesday (24th) we have some fabulous speakers for you. For those of you who weren't aware. 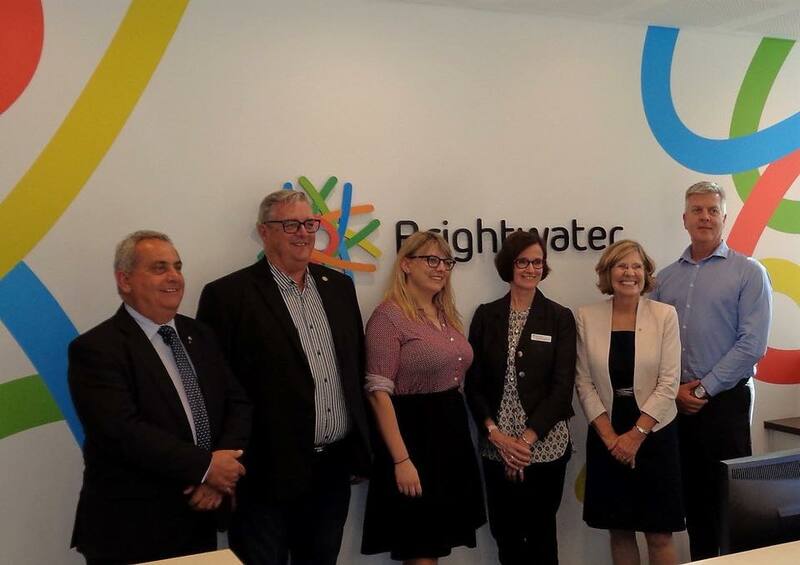 SDRC joined with Prof Lyn Beazley in a 50/50 partnership to create the $100,000 Lyn Beazley Scholarship for a PhD student to work at Brightwater's Oats Street Brain Injury Facility. Fiona Allanson has completed her PhD and is coming to the club on Tuesday to discuss her findings. Make sure you come along. This will be a fascinating evening. On Tuesday night we said farewell to now Past President Tony and congratulated him on a successful year as President and we welcomed new President Simon. A vocal, yet enthusiastic crowd of over 70 people came to dinner to celebrate the year that has been and the year that is yet to come. Thanks to Ric McDonald, we have a fabulous video for you all to see. 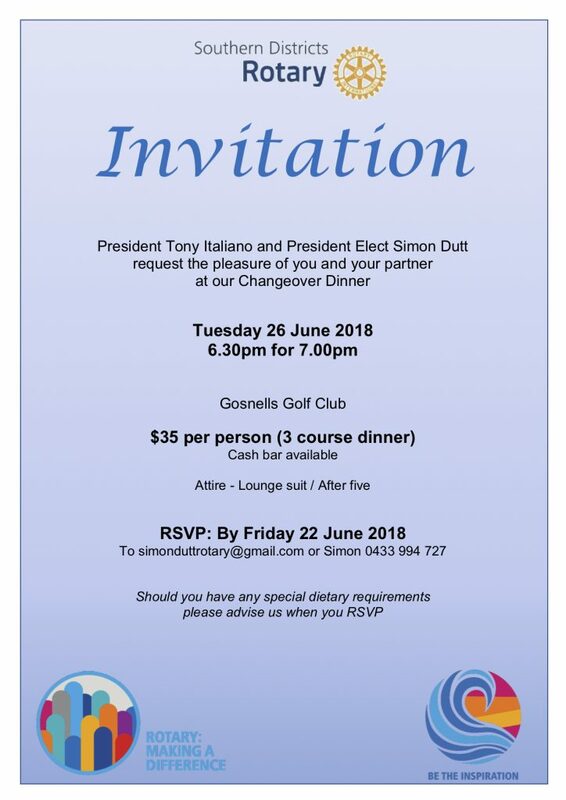 Australian Rotary Health Address and Cocktail Party. 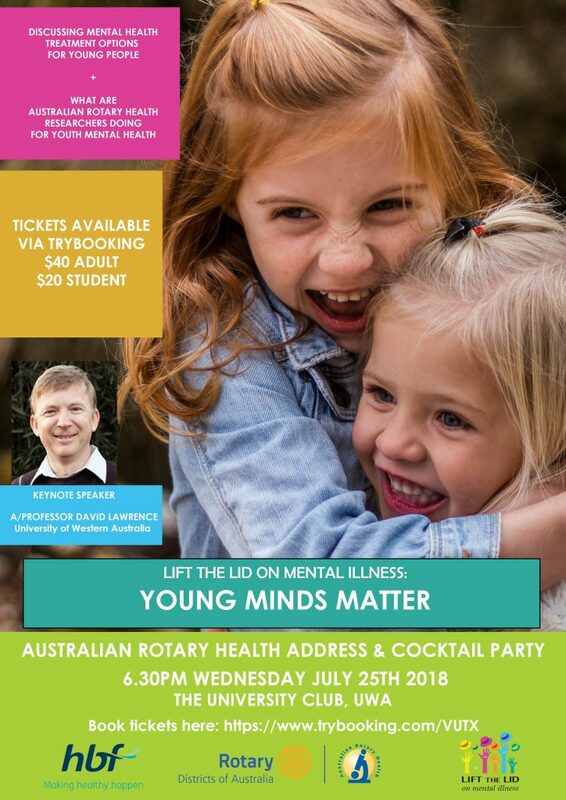 Lifting the lid on mental illness – Young Minds Matter. Thanks to HBF for being a major sponsor. 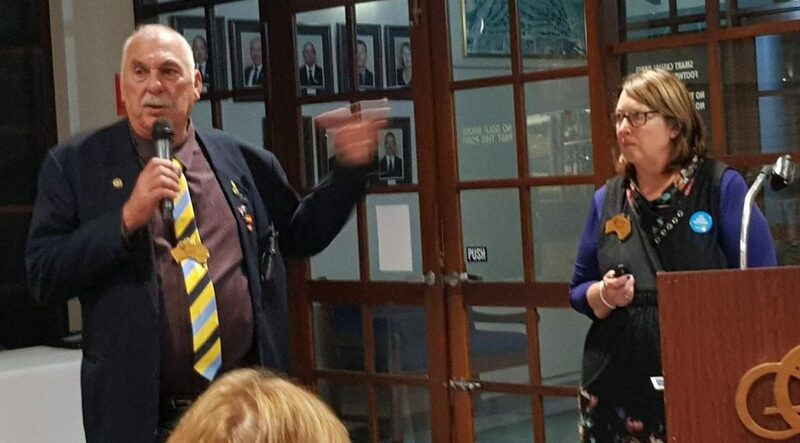 The Rotary Club of Southern Districts was honoured to present PP Geoff Wiltshire with a Paul Harris Fellow [with three sapphires] at last nights get together. 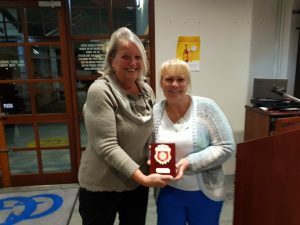 The award acknowledged Geoff for his tireless work work in the establishment of and his on going efforts with the Gosnells Mens Shed. 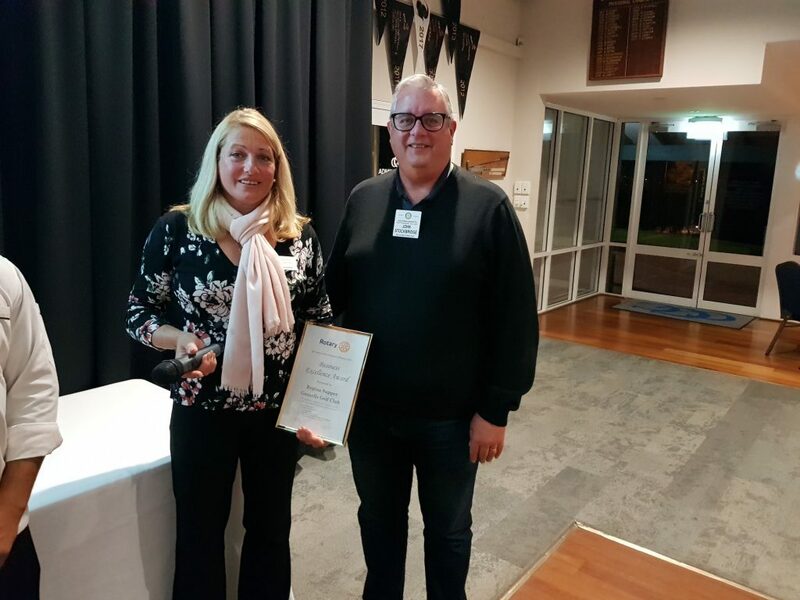 Geoff was also recognised for the huge amount of effort that he put into establishing the Rotary Club of Southern Districts. 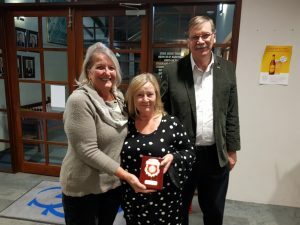 Acknowledgement was also made of the untiring support provided by Lorraine Wiltshire for Geoff and his journey through Rotary. PP John Stockbridge presented Geoff with his award and he was pinned by PDG Frank Keays……Congratulations Geoff. 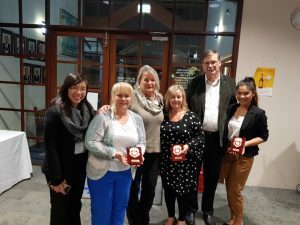 An exciting night for our "Pride of Workmanship" recipients Trang Hunyh (Gosnells Golf Club bar staff), Carol Leyshon (Head Nurse at Amaroo) and Vet Dr George Huber. 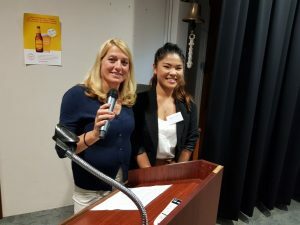 Dr Huber was unable to attend, so Sandra Baraiolo accepted on his behalf well done presenter Anita Diep and Vocational Chair Julie Ninnis. 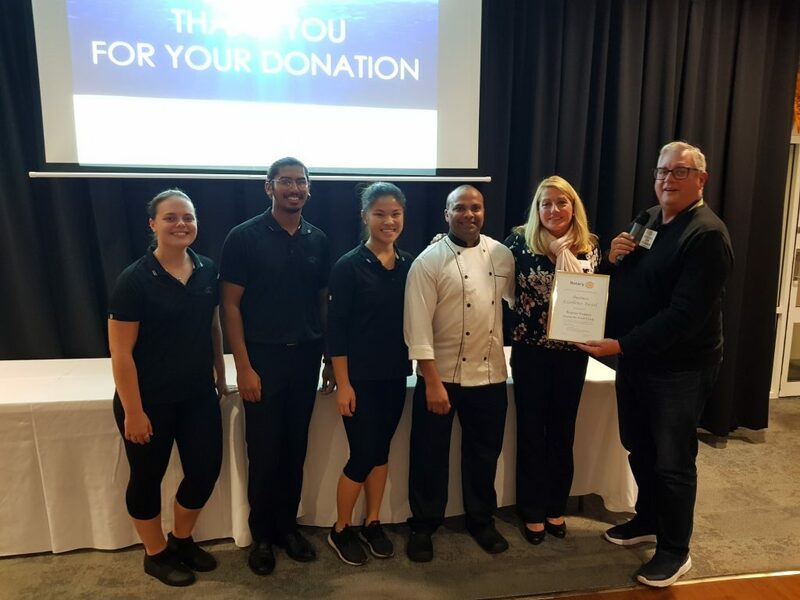 PP John Stockbridge introduced and presented the Gosnells Golf Club catering service with their award. 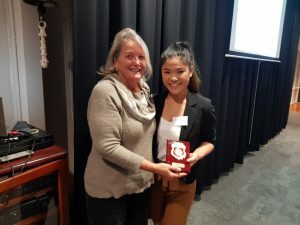 Regina Supper accepted on behalf of her team… thank you all for looking after us each week. 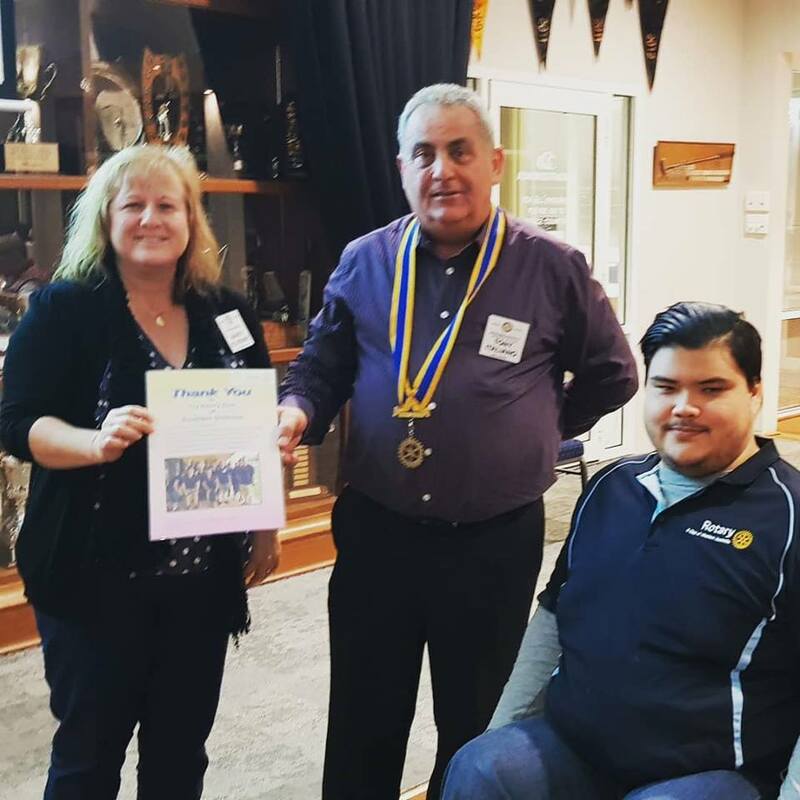 The club was delighted to welcome District Rotary Youth Exchange Chair Linda Bilney and committee member Jack Ricks who gave us a fabulous presentation on Rotary Youth Exchange. The visit was arranged by International Director Peter Gregory and designed to inform particularly our newer members of the requirements and benefits of hosting exchange students. We have a couple of members interested in hosting a student, so it looks like our club will be participating after quite a lengthy break. 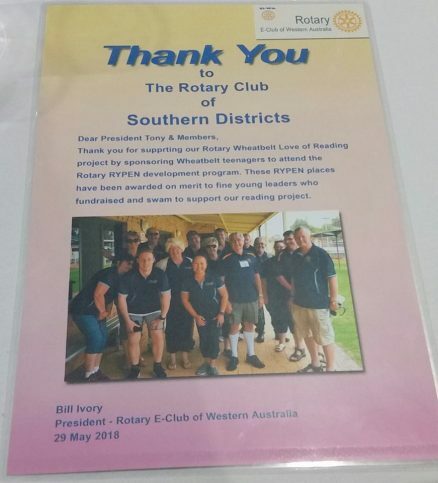 The good folks from E-WA Rotary Club paid us a surprise visit on Tuesday to thank the club both for our support in the founding of E-WA and for our support of E-WA's Rotary Wheatbelt Love of Reading project and helped them send more kids to RYPEN! A lovely thought – thanks E-WA. President Nominee Shogo Williams-Matsuoka presented Pres Tony with a certificate of recognition.